No, I’m not cursing in code. Zhang split staff up into self-managed work units call ZZJYT’s (zi zhu jing ying ti – which roughly translates to independent operating unit) and by 2012 had almost done away with middle management completely. Today each ZZJYT comprises 7-10 people from various functional roles. These microenterprises operate as independent ventures. Each is responsible for its own hiring, procurement, strategy, production and ultimately profit and loss. The ZZJYT’s are not permanently assigned to a particular product or role. Instead they are formed through internal competition. If an employee identifies an opportunity for a new product or service, they are free to propose their idea. A vote involving employees, customers and suppliers determines whether the project goes ahead. The winner becomes the project leader. Zhang believes that employees in traditional organisations tend to focus too much on what their bosses say or think because their pay is determined by them. This is why there is no position-related remuneration at Haier. 5 Instead employees are paid solely based on performance and the results their team achieves. In the new generation Haier, talent is provided through an open labour market. Each ZZJYT is given the freedom to innovate by reaching out to customers, prospective employees, collaborators and even competitors. Employees are free to leave or join ZZJYT’s, however a unit will dissolve after the project is over and talent goes back to the marketplace. By definition, platform companies form ecosystems by partnering with, and incorporating technology from multiple corporations to drive innovation and performance. Haier’s powerful internet platform enables limitless collaboration with suppliers, customers, universities, competitors, and other stakeholders. We are seeing the dawning of a new age of organisational agility and innovation. Employers and skilled workers alike have much to gain from embracing new ways of working. But it will take a willingness to change and adapt. Ruimin, Zhang. “Raising Haier.” Harvard Business Review. 31 July 2014. Web. 08 May 2017. “Haier and Higher.” The Economist. The Economist Newspaper, 11 Oct. 2013. Web. 08 May 2017. Mahajan, Neelima. 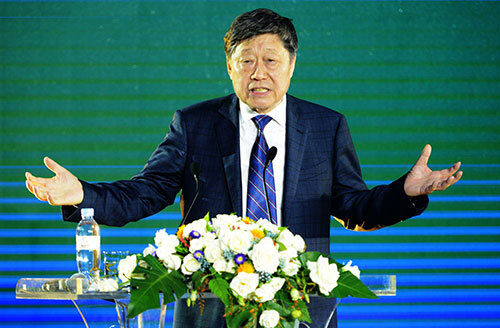 “How CEO Zhang Ruimin Reinvented Haier – Three Times Over.” CKGSB Knowledge. 28 Sept. 2015. Web. 08 May 2017. “Haier CEO Zhang Ruimin: Challenge Yourself, Overcome Yourself.” Founding Fuel. 18 Oct. 2015. Web. 08 May 2017. Fischer, Bill, Umberto Lago, and Fang Liu. “The Haier Road to Growth.” Strategy Business. 27 Apr. 2015. Web. 08 May 2017. “Zhang Ruimin: Driving Haier’s Innovation.” Zhang Ruimin: Driving Haier’s Innovation | CEIBS. Web. 08 May 2017.